Arlington police have now released body cam footage of the moment 24-year-old O'Shae Terry was shot and killed by an officer. ARLINGTON, Texas — Arlington police have released body cam video of the moment 24-year-old O'Shae Terry was killed by an officer during a traffic stop Saturday. The video was released after Terry's family expressed concerns to the media on whether deadly force was necessary. "He would never do anything to try and hurt a police officer," said Sherley Woods, Terry's mother. 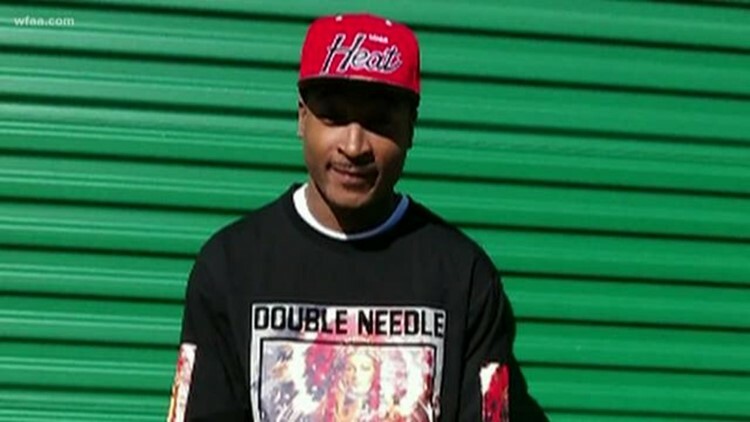 After the release of the video, Terry's family said it proves excessive force was used. However, Arlington police say it shows the officer feared for his life when he fired the shots. The footage shows a backup officer approach the passenger side of an SUV as another officer runs a background check on Terry, who's behind the wheel of the vehicle. As the officer talks to the driver and passenger, he can be seen grabbing onto the window of the SUV as the passenger begins to roll up the window. "Hey, hey, hey, stop," the officer can be heard telling the passenger. The video then shows Terry turn on the car as the officer continues to tell them to stop. Then the yelling gets frantic as the vehicle begins to take off with the officer still holding onto the window. According to police, the officer was standing on the SUV's running boards and feared for his life. At that point, the officer pulls out his gun and fires into the vehicle. Terry was fatally wounded during the shooting and the officer transported to a nearby hospital to be treated for minor injuries. Investigators said they recovered a handgun, ammunition, marijuana and ecstasy from the vehicle. The passenger in Terry's SUV was detained at the scene but later released. The officer is on paid administrative leave as an investigation into the shooting continues.